It’s been a while since I’ve updated–November was a crazy month! 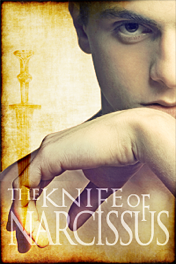 Now December has rolled in and we’re at the one week—well, 6-day—countdown to the release of the all-in-one version of The Knife of Narcissus. I hope the collected edition will entice a few new readers to try the story!